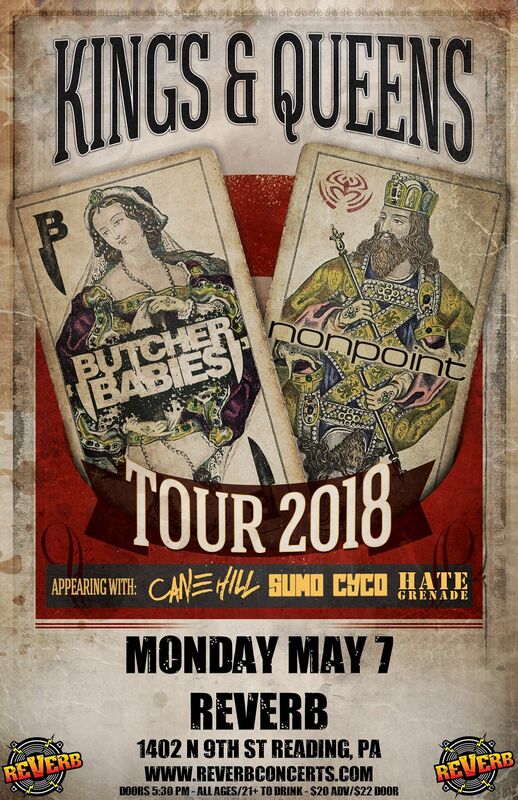 We are excited to announce that we will be performing with Butcher Babies, Nonpoint, Cane Hill, and Sumo Cyco at club REVERB in Reading, PA on May 7th! This is an ALL-AGES event and tickets are $20. Need a ride? Live in the Altoona, State College, Lewistown (Pennsylvania)area? We will have information on a passenger-van shuttle with DD and pickup / dropoff in those locations in the coming days. We're also hoping to have another passenger van coming from the New York area as well (depending on interest). Seating will be limited so mark your calendars NOW and plan to join us for a night of debauchery you won't soon forget; this one is going to be insane!